The Democrat National Committee wanted to make a nice heartwarming video telling America and convention goers how wonderful ol’ “Sheriff Joe” Biden is. But, oops, one of the still photos included in the retrospective shows Biden standing chummy with a union member that was arrested for pick pocketing in 2009. The video, titled, Vice President Joe Biden’s Story, is filled with heartwarming photos of good ol’ Joe with old folks, school kids, and American workers. But one worker in particular would have been best left out of the bio-video. At about 5:17 into the video you’ll see a still photo of Service Employees International Union member Marshall Clemons and Vice President, Biden. 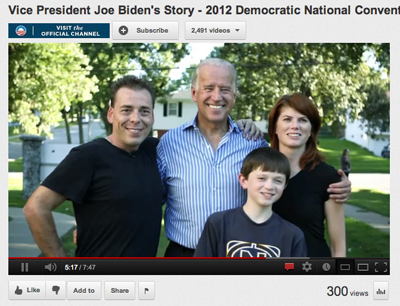 In that photo you see good ol’ Joe standing next to Clemons and his wife and son. All smiles there, with Joe’s arms warmly embracing the family. It’s a nice family photo showing how personable Joe is. But who is this Marshall Clemons? 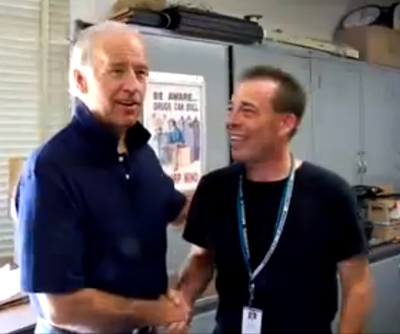 As it happens, Joe Biden did a little union-touting video with Mr. Clemons back in 2007. The film was called Walk a day in my shoes: Joe Biden/Marshall Clemons and was made in cooperation with the SEIU. That film, too, was supposed to be a heartwarming tale of good ol’ Joe palling around with the common worker. But I guess Joe didn’t help Mr. Clemons make enough money at the SEIU because not long after they appeared together in the union-selling video, Clemons was arrested for stealing money out of women’s purses at the Iowa State Capital. This is a case of a union member reaching into people’s pockets a bit more directly than they usually do. In 2009 an Iowa lobbyist caught Clemons reaching into and stealing wallets from the unattended bags of other lobbyists who were busy plying lawmakers at the state capital. 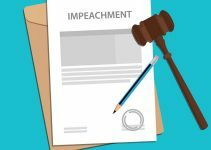 The lobbyist alerted the Iowa state police and when they tracked Clemons down they witnessed him trying to ditch a second stolen wallet in a public bathroom. Clemons was charged with two counts of fifth degree theft. 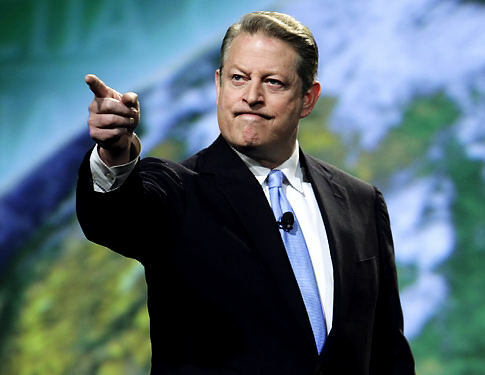 This is the guy that the DNC thought was a good idea to show Vice President Biden paling around with? Does “Sheriff Joe” have a habit of hanging around pickpockets!